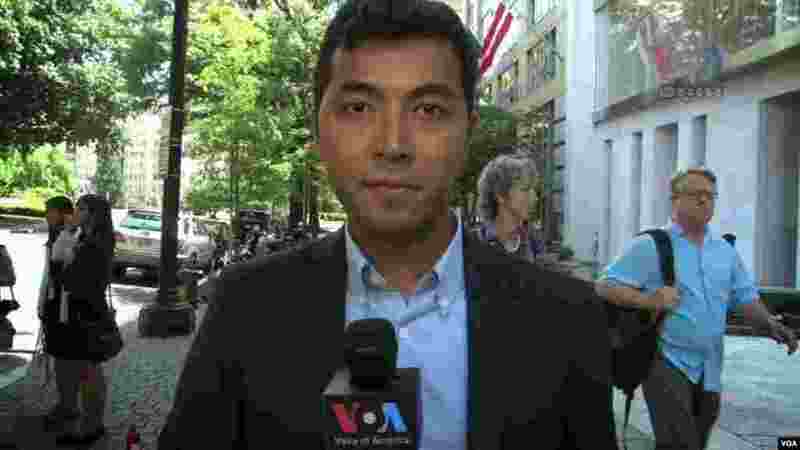 6 VOA Khmer's Sophat Soeung doing a standup in from of the Center for Strategic and International Studies in Washington, DC, June 23, 2014. 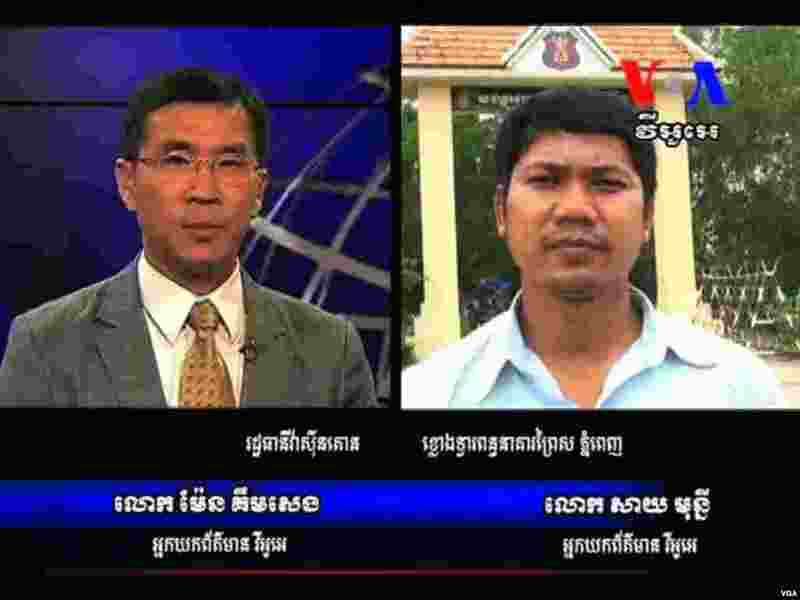 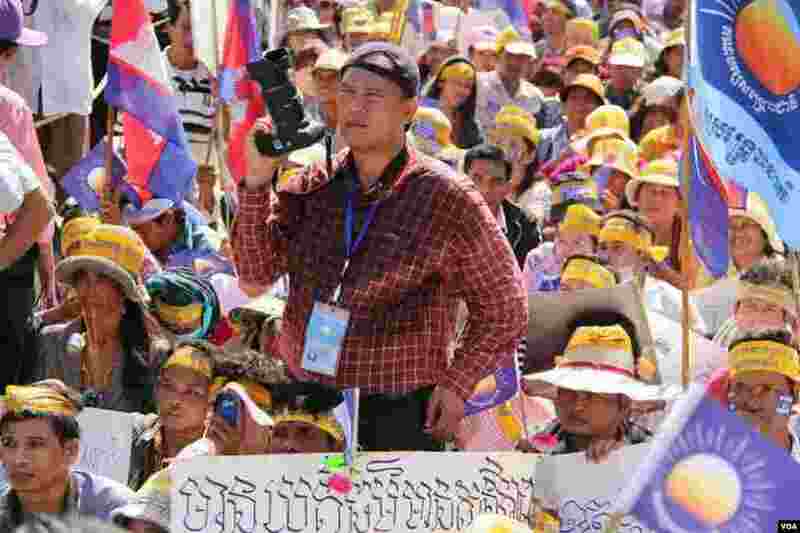 7 Reporter Kimseng Men in Washington talks to reporter Mony Say in Cambodia. 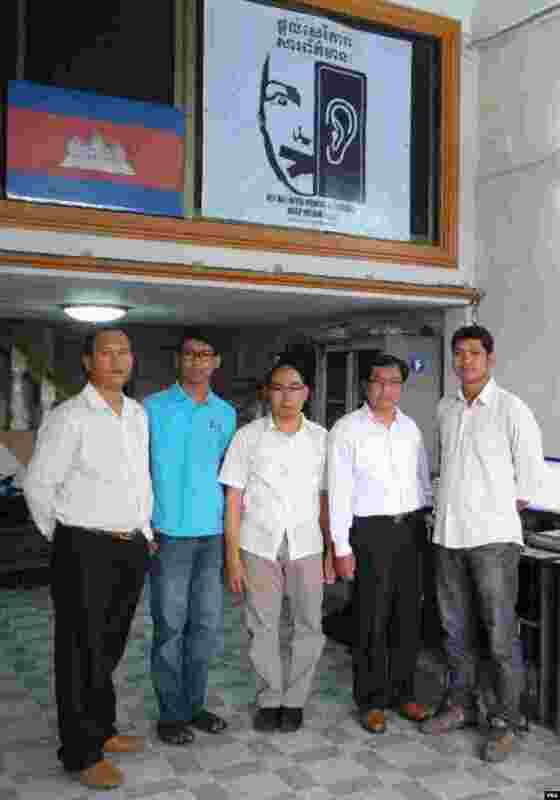 8 (left to right) Reaksmey Heng, Theara Khoun, Sothanarith Kong (editor), Sothy Lim (office manager), and Mony Say (TV Unit Coordinator) in VOA Phnom Penh office.